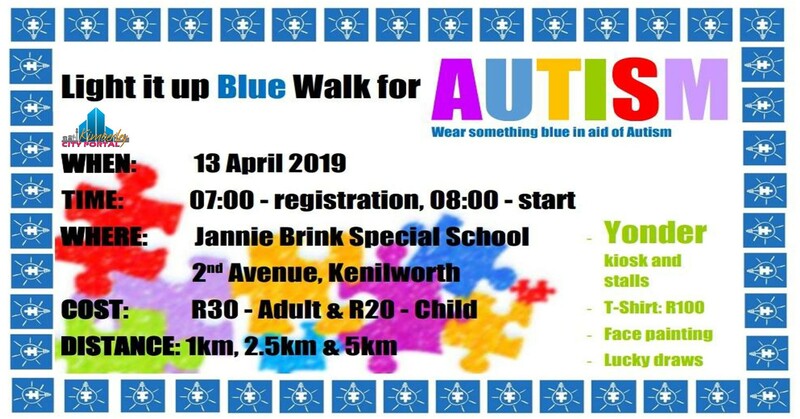 Jannie Brink Special School is hosting the Light it up Blue Walk on 13 April 2019, in collaboration with Yonder in aid of Autism awareness. Come and enjoy the day with us. Wear something blue in aid of Autism.